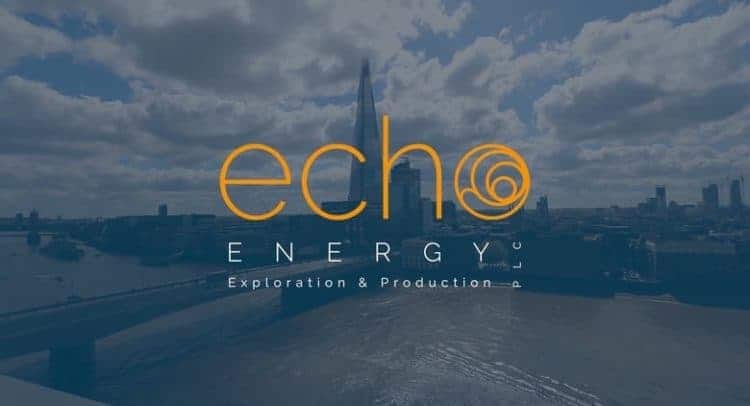 Echo Energy plc, the South and Central American focused upstream gas company, is pleased to announce that an admission document detailing the proposed farm-in to 50 per cent. interests in each of the Fracción C, Fracción D and Laguna De Los Capones concessions (the “Concessions”) and to a 50 per cent. interest in the Tapi Aike exploration permit (the “Exploration Permit”), each located onshore in Argentina (the “Transaction”) has been published and posted to Shareholders. The admission document contains a notice convening a general meeting of the Company for 2.00 p.m. on 3 January 2018 at the offices of Link Asset Services, 65 Gresham Street, London EC2V 7NQ. The admission document includes a Competent Person’s Report on the Company’s proposed new assets. The Company expects that trading in the Company’s Ordinary Shares on AIM will resume at 8.00 a.m. today. · The Company announced on 1 November 2017 that, in line with its stated strategy, it had entered into a conditional farm-in agreement with Compañía General de Combustibles S.A. (“CGC”) for the acquisition by the Company of 50 per cent. working interests in certain of the onshore Argentinian gas and oil assets of CGC. · Echo is to acquire 50 per cent. working interests in each of the Fracción C, Fracción D and Laguna De Los Capones Concessions and in the Tapi Aike Exploration Permit each located in the Austral basin of Santa Cruz province, onshore Argentina, and covering a total of 11,153km2. · The Acquisition is expected to provide the Company with a compelling blend of multi tcf exploration potential, appraisal and production. · On the Tapi Aike Exploration Permit the Competent Person’s Report has identified 41 leads over three independent plays, each typically with gross (100%) prospective resources of 50-600 Bcf at the best estimate level; the largest two are assessed as potentially containing 3.8 Tcf and 2.6 Tcf of gas in place (on a gross unrisked basis) in the high case, with three others potentially containing in excess of 1 Tcf (on the same basis), all of these numbers confirming the highly prospective value of the Tapi Aike Exploration Permit. · Existing gross production of a total of approximately 11.2 mmscfe/d (5.6 mmscfe/d net to the Company, pre-royalty) on Fracción C and Fracción D with, the Directors believe, the potential to significantly increase current gross production across the Concessions to over 80 mmscfe/d over a five year period. · The Acquisition will provide the Company with a material position in Argentina, with strong local gas prices, and a well-respected local strategic partner. · Completion of the Acquisition is conditional, inter alia, on the passing of Resolution 1 at the General Meeting. · The Company has conditionally raised £6.4 million, before expenses (£4.7 million net of total estimated costs and expenses relating to both the Placing and Admission) through the Placing of 36,391,412 Placing Shares at 17.5 pence per Placing Share, being equal to the closing mid-market price per Ordinary Share on 27 October 2017, being the last date prior to the Ordinary Shares being suspended from trading on AIM pending publication of the admission document. · The Placing Shares will represent approximately 9.1 per cent. of the Enlarged Share Capital on Admission. · Following Admission, Echo intends to deploy the Company’s existing cash balances and net proceeds of the Placing towards the development of the Licences, and towards the Company’s working capital requirements. · The Company is grateful for the support of all its Shareholders and therefore intends to undertake an Open Offer in January 2018 of up to 11,428,572 Offer Shares at 17.5 pence per Offer Share to raise up to £2.0 million, before expenses. This is intended to provide qualifying shareholders with the opportunity to subscribe for additional Ordinary Shares at the same price as was available under the Placing.